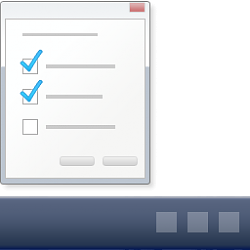 You must be signed in as an administrator to enable or disable resizing the taskbar. In Windows 7, the Local Group Policy Editor is only available in the Professional, Ultimate, and Enterprise editions. In Windows 8, the Local Group Policy Editor is only available in the Pro and Enterprise editions. In Windows 10, the Local Group Policy Editor is only available in the Pro, Enterprise, and Education editions.